The cooling system is also called heat exchange system. 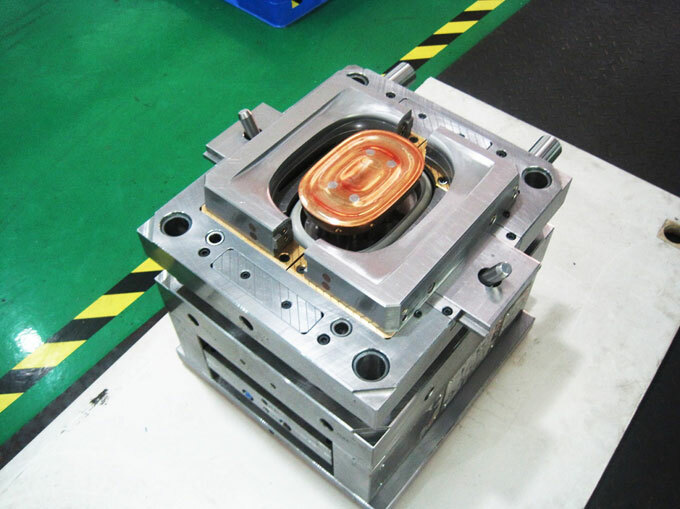 When the melt is injected into the cavity, the cooling system cools and condenses the injection molded parts quickly. The economic significance is to shorten the molding cycle and improve the production efficiency. The design of cooling system is often limited by the geometry of cavity (mold cavity), the parting line, the slider and the ejector rod. Therefore, it cannot be rigidly designed according to the standard distribution. The cooling system must be designed to ensure rapid and uniform cooling. The effect of cooling system on productivity is primarily reflected by the cooling time. Usually, the temperature of plastic melt injected into the cavity is about 200 ° C, and the temperature at which the plastic part is taken out from the cavity is below 60 ° C. About 5% of the heat released during melt molding is emitted into the atmosphere in the form of radiation and convection, and the remaining 95% is carried away by a cooling medium (generally water), otherwise the repeated injection of plastic melt will cause the mold temperature rises. · Design the cooling system should be prior to the demolding mechanism. · Pay attention to the heat balance of the cavity mold and the core. · The number of cooling channels should be as much as possible, and the cross-sectional area should be as large as possible. · Reasonably determine the distance from the cooling water channel to the cavity wall. · The temperature difference of the water flow at the entrance and exit of the cooling channel should be as small as possible. · Strengthen the cooling at the gate. • The cooling water channel should be set in the direction in which the plastic shrinks. Common cross-sectional shapes of cooling water channels include circular straight tubes, square straight tubes, round curved tubes and square curved tubes. Common structural forms include water spray form, baffle form and heat pipe form. · Direct cooling form which adopts the template circulation waterway: For template, it can be arranged by circulating waterway direct cooling form. ·Direct cooling form which adopts the circulating water channel of the molded part: For the medium height core, the cooling circuit formed by the oblique cross pipe can be used. ·The cooling form of the water blocking plate: The cooling water circuit of the common water blocking plate is connected in series, and the parallel cooling water path is adopted on the multi-core core.